Not only devotedly supporting the business community and entrepreneurs, the Vietnam Chamber of Commerce and Industry (VCCI) has also worked closely with ministries and sectors to carry out its tasks such as trade and investment promotion, legal policy consultation and business community support. Organising conferences and workshops aimed to collect opinions on policies and laws is always a top task of VCCI. In 2017 alone, VCCI hosted about 475 conferences and workshops attended by 84,500 enterprises to gather opinions and put forth policy recommendations. It collected opinions from the business community for 180 draft legislations; integrated comments and created recommendations for 138 draft legal normative documents and proposed the making of new laws and regulations. VCCI particularly focused on contributing constructive ideas to the Law on SME Support and the Law on Competition, through many stages with many different versions, and helped complete the Penal Code 2015. Notably, VCCI contributed valuable opinions to important legislations on socioeconomic and business development like three resolutions of the 5th Plenum of the 7th Central Party Congress on finalisation of socialist-oriented market economic institutions, private economic development geared to become an important drive of the economy, and SOE restructuring and renovation for better performance; Law on SME Support adopted by the National Assembly on June 12, 2017 considered core policies on support of SME development. These rules also stimulated individual business entities to transform into corporate business entities, a necessary step in an effort to achieve the target of having 1 million active enterprises in 2020. Many regulations have been revised with practical remarks from VCCI. Changes have been made for enterprises. Many unreasonable market entry barriers, business scale discriminations, business conditions and administrative procedures have been removed. VCCI collaborated with the United States Agency for International Development (USAID) to produce annual Provincial Competitiveness Index reports (PCI). PCI functions as the voice of the Vietnamese private business community, delivered directly and powerfully to policymakers at both central and local levels. Over the past 12 years, PCI has become an important supporting tool for domestic and foreign investors to decide on business locations and expanding business presence. Meanwhile, local authorities use PCI as a success measure of governance reforms. This gauge is also used by National Assembly deputies and business associations to track local business environment improvement. VCCI has also coordinated with the Secretariat of Vietnam Business Forum (VBF) Consortium and the Ministry of Planning and Investment to open the Vietnam Business Forum. 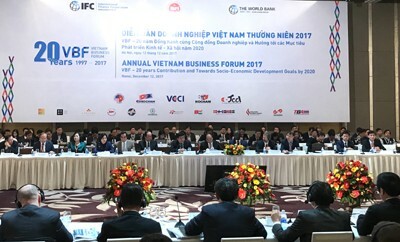 In the past 20 years, VBF has been considered the most important annual policy dialogue channel for the Government of Vietnam and domestic and foreign business associations. At this event, specific, clear policy recommendations are addressed directly to the Prime Minister and heads of government agencies. From VBFs, a lot of proposals and recommendations have been submitted to central and local governments and agencies and seriously taken into consideration by recipients. In addition, VCCI has continued to execute the Action Plan for implementation of the Governmental Resolution 19/NQ-CP on further improvements of business environment and national competitiveness in 2016 and 2017, with a vision to 2020. It has focused on monitoring the reform of administrative procedures in tax and customs as well as performed duties assigned by the Prime Minister's Advisory Council for Administrative Reform. VCCI has also regularly cooperated with the Ministry of Finance, the General Department of Customs and the General Department of Taxation to hold dialogue meetings on customs and accounting policies and procedures with businesses in Hanoi and Ho Chi Minh City. These functions discussed two main contents: General information on new policy and administrative procedure changes in tax and customs, and dialogues on solutions to difficulties against enterprises and opinions on law-making from enterprises. VCCI also cooperated with the Ministry of Finance to release the research report “Assessment of Customs Procedure Reform: Business Satisfaction in 2016”. The report, which engaged 3,500 businesses, illustrated their assessments and feedback on implementation of customs procedures in the past years, as well as their expectations for the customs sector in the time to come. Specially, VCCI strengthened coordination with ministries, sectors, localities, national business associations, provincial cross-industry associations, universities, research institutes and specialists to grasp actual situations of enterprises in order to better advise the Government on business policies and environment. 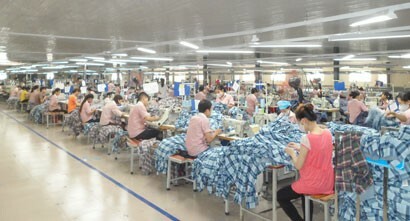 Its specific activities included implementing many programmes and projects for implementation of Resolution 09/BCT-NQ on building and promoting the role of entrepreneur force: Communicating on “Building and promoting the role of the Vietnamese entrepreneur force in the period of accelerated industrialisation, modernisation and international integration”; fostering the business culture and corporate social responsibility; and strengthening corporate competitiveness by establishing harmonious, stable and progressive labour relations in enterprises. As an active member of the National Wages Council and a representative agency of employers, VCCI has held technical meetings with its member bodies representative of employers, Vietnamese business associations and foreign business associations and profession-specific associations to exchange and agree on general plans of employer representative agencies on changes to region-based minimum wages in 2017, thus balancing interests of employees and employers and shaping harmonious labour relations within an enterprise. With close coordination among concerned agencies, VCCI has achieved certain results, especially its policymaking which is highly appreciated by enterprises. At the same time, VCCI has clearly demonstrated its representative role and position in the business community and had a convincing voice to Party and State agencies. On behalf of Standard Chartered Bank Vietnam, I would like to convey our congratulations to the Vietnam Chamber of Commerce and Industry (VCCI) on the 55th anniversary of the organisation. As a leading international bank with over 110 years of experience in Vietnam, we thank VCCI for its many contributions to the improvement of the business and investment climate in Vietnam. 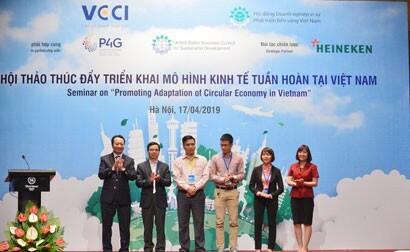 There is little question that doing business in Vietnam has become much easier in recent years, and VCCI has played a key role in achieving this, through its advisory support to the government and its advocacy efforts on behalf of local private businesses. 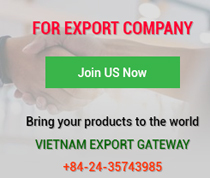 Moreover, as the go-to bank for Vietnamese companies looking to expand their businesses internationally, we are impressed with the contributions that VCCI has made to the development of the local business community to improve the competitiveness of Vietnamese companies and products on the global marketplace. We are seeing today an increasing number of Vietnamese companies expanding overseas and taking part in global trade and supply chains. That being said, we believe that the current activity has barely scratched the surface of Vietnam’s potential – particularly in the SME space. SMEs account for over 98 per cent of the total enterprises in Vietnam and this sector has proven to be a key contributor to trade, employment and economic growth. 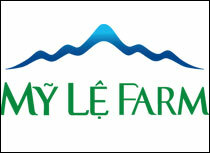 We believe that SMEs will have an even bigger role to play in Vietnam’s future. We are pleased to see that this has been an area of focus of VCCI and numerous initiatives have been deployed to boost the development of this sector. In particular, it has been a great pleasure for us to partner with VCCI on several initiatives to provide the knowledge and connections to assist Vietnamese SMEs, as they seek to grow and realize their aspirations, both in Vietnam and overseas. For example, we co-organised highly successful workshops for VCCI members on “Access to finance and digital solutions for small- and medium-sized enterprises” in 2016 and “Supporting international trade for small- and medium-sized enterprises” in 2017. These workshops were designed to give VCCI members the tools they need to succeed in the global economy of the 21st century. As we look to the future, the signing of the EU-Vietnam Free Trade Agreement and the CPTPP will create even more favourable conditions for Vietnamese companies to grow their business by accessing global markets and supply chains. 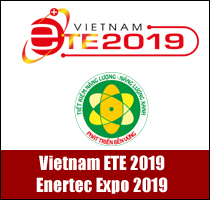 We look forward to continuing to partner with VCCI to provide the support and know-how local companies need to tap into these opportunities, and to connect Vietnamese companies to the global trade ecosystem. Once again, I would like to extend our congratulations to VCCI on your impressive achievements over the past 55 years and wish you continued success and further development. Bringing into full play its role of gathering, connecting and supporting the business community, VCCI has carried out many innovative activities to contribute more to business successes and entrepreneur maturity, and built up the trust of enterprises as a constant support for them. VCCI has been internationally recognised as one of the most dynamic chambers of commerce and industry in the developing world and a strong force in the community of chambers of commerce and industry and trade promotion agencies in the world. VCCI has deep, intense critiques on policymaking and law-making. Sets of indicators such as PCI and MEI designed to assess improvements in business and investment environment were introduced. Earnest reports illustrated proposals to clear hardships to facilitate business development, including initiatives signed between VCCI and provinces to set up divisions to handle business petitions to authorities. This has built up the trust and assurance of businesses and entrepreneurs in an agency representing them. VCCI will be a place to share, believe and support. Today, VCCI, with a full range of committees, forums, councils and organisations, is capable of supporting businesses in the best way. Over the past 20 years that DEEP C Industrial Zones has been present in Vietnam, VCCI has played an active part in creating a favourable investment environment. This is done via connecting businesses, updating enterprises on new laws and regulations, and helping companies recognise new opportunities and challenges due to changes in world markets. We appreciate VCCI’s support in creating such a platform to network and share. We have witnessed many significant and positive changes in the investment environment of Vietnam over the past few years, including new and more open policies, liberation of trade with major markets, orientation towards supporting industries that will enhance integration and add value to the economy, etc. We believe these positive movements will benefit both the country and its investors, improving the attractiveness of Vietnam compared to other Asian locations. In addition, we see that the Vietnamese government is actively initiating and pouring investments into key infrastructure developments, especially in the north, to accommodate the increasing interest of foreign enterprises. This for us is a game changer in making Vietnam an ideal manufacturing and logistics hub of South East Asia. DEEP C Industrial Zones is located in the middle of the key infrastructure developments such as Lach Huyen Deep Sea Port, Red River Delta Highways connecting northern provinces and China, and international airports. As such, the story of DEEP C is proof that, thanks to the continuous efforts of the parties involved, great opportunities are within reach for both local and foreign investors. 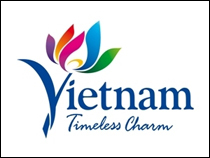 Since its inception 55 years ago, the Vietnam Chamber of Commerce and Industry (VCCI) has attested the role of a national social, political and professional agency serving the business community and entrepreneurs in Vietnam, effectively advising the Party and the State on social and economic policies to provide a favourable environment for business development. With its effort, dedication and mission, VCCI has made many effective and practical contributions to the Vietnamese business community and to the country's economic development. With the endorsement and advocacy of VCCI, in 2004, the Government officially adopted October 13 as Vietnam Entrepreneurs Day. In 2011, Resolution 09-NQ/TW on building and promoting the role of Vietnamese entrepreneurs was issued, marking a breakthrough in the perception of the role and the position of Vietnamese entrepreneurs in national economic development, construction and modernisation. In particular, in 2017, VCCI successfully organised the largest APEC business forum (APEC CEO Summit 2017), opening up new opportunities for economic and trade development for Vietnam in the coming period. Being a member of the VCCI Executive Committee, working with VCCI for the past 20 years, I have seen VCCI’s clear development over time, reflected in three areas. The first is supporting the business community to work with State mechanisms, policies and authorities. The second is connecting the business community within a locality (provincial business associations) and within a region and connecting business associations across sectors (chairpersons of business associations are members of the Executive Committee). 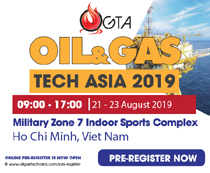 The third is connecting foreign business associations through representative offices in Vietnam and through meetings with big investors at Vietnamese business forums with key markets such as Vietnam - China, Vietnam - EU, Vietnam - Japan and Vietnam – USA, among others.